Hulu Live offers a great way to watch the Lakers online in their biggest games of the season. Try 7 days free. The Los Angeles Lakers are one of the most storied franchises in all of NBA history. It’s a new age for the team as Lebron James joins the squad and the hype for a return to glory is at an all-time high. They’ve been lucky enough to get some talented draft picks too, and have become an exciting team to watch. Thankfully, if you interested in watching this amazing team you can watch Los Angeles Lakers online nowadays even if you cut cable. The below guide goes into all the details you need to know to watch the Lakers all season long. There are quite a few streaming services that are helpful for NBA fans who want to cut the cable cord but still watch basketball games. Keep reading to help decide which one will be best for you. Hulu Live is one way to watch the Los Angeles Lakers without cable. The base package is $40 a month and comes with over 50 channels. Where basketball is concerned, you’ll have ESPN networks, TNT, many regional sports channels, ABC/ESPN3, and many other channels. You won’t have NBA TV, but you should be able to watch most of the regular season along with both the playoffs and finals without it. Along with the live channels you receive, Hulu Live gives you access to the classic Hulu on-demand library for free, as part of your package. Hulu Live also gives you the chance to add on movie channels like HBO or Showtime, too. You will have access to a variety of TV Everywhere apps, so if you miss something live and it’s not available on-demand you might find it there. A DVR is included with your membership and it offers up to 50 hours of recording time. Of course, if you need more you can always upgrade the amount of space you receive. Hulu Live members can stream on up to two devices at once, though you can upgrade to allow for unlimited devices for a small fee. Hulu Live works with most devices including computers, mobile devices, Apple TV, Roku, Chromecast, Fire TV, and more. Stream on most devices – Chromecast, Apple TV, mobile devices, etc. Remember, you can get the Hulu Live free trial for one week. 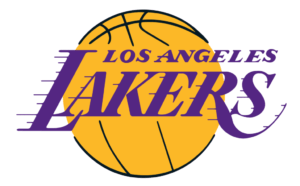 AT&T’s streaming service, DIRECTV NOW, is a great option to watch a Los Angeles Lakers game live stream. You can watch a bunch of nationally broadcast games like the NBA on TNT specials or games on ESPN, ESPN2, TBS, and NBA TV. Any games airing on ABC are also available to stream because these games will be simulcast on ESPN3 and your subscription lets you watch these games on WatchESPN. Along with WatchESPN, other TV Everywhere apps will be available, so you can watch additional games and shows live or on-demand. You can stream DIRECTV NOW on Fire TV devices, Apple TV, mobile devices, Roku, Chromecast, and other devices. All of this comes in the starting package for just $40 per month. You can learn more details on the service in our DIRECTV NOW review. If you want more than the 60 channels offered in the basic package, you’ve got additional options. DIRECTV NOW offers four packages to choose from with between 60 and 120 channels in total. You can add HBO to any available package for $5 per month. Also, you can test it out yourself and start a weeklong free trial to watch Los Angeles Lakers online free! Another great service to watch Lakers game online is Sling TV. The service has a starting price of $25 per month for the Sling Orange package. You get around 30 cable channels to live stream. Sling TV also gives you any NBA games on ESPN. There’s also the option to watch on channels like TBS, TNT, ESPN2, or ESPN3 (ABC simulcasts). In fact, Sling TV is one of the only streaming services that offers ESPN3 in their interface as opposed to having you sign in to the WatchESPN app. That said, you can still use the app and other TV Everywhere apps to watch the game and other content, too. Sling TV is known for having one of the lowest prices in streaming. You start with a smaller package of popular channels and then you can add additional channels until you have the right package for you. For example, you can add the Sports Extra package on Sling TV (review). This will let to watch a Los Angeles Lakers game live stream on NBA TV. It costs $5 more per month and adds about 10 popular sports channels to your subscription. You can watch Sling TV on Roku, Chromecast, Fire TV, Apple TV, and more. There are no mobile restrictions, so you can watch on mobile devices from just about anywhere with a Wi-Fi signal. Stream on tablets, mobile devices, Fire TV, Roku, Apple TV, etc. You can watch Los Angeles Lakers game streaming free on Sling TV by beginning a 7-day free trial. Also, if you’re interested in streaming devices like Roku, check out the current deals offered by Sling TV for new subscribers. 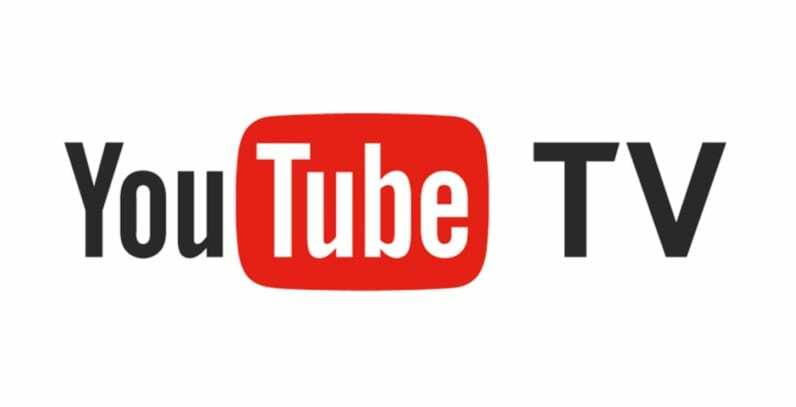 YouTube TV is available for $40 a month. There is only one package available, but it offers 50+ channels including NBA TV, ESPN networks, TNT, TBS, and local channels in many areas. With the exception of some regional channels, YouTube TV offers all of the channels you need to watch the Lakers all season long! While you’ll get plenty of channels with YouTube TV, you might notice some channels, like HGTV and Food Network, are missing. Still, there is plenty to watch and packages are updated all the time, so it’s possible that these channels will be added in the future. 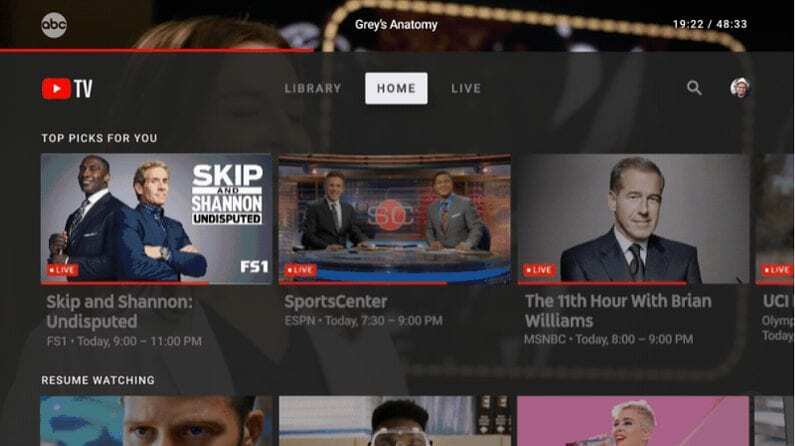 YouTube TV also offers an on-demand library and access to many TV Everywhere apps. Of course, they also offer a cloud-based DVR, so you can record whatever you can’t watch live. Your DVR comes with unlimited space and each recording can be held for up to nine months, so you’ll have plenty of time to binge-watch your recordings. YouTube TV is a good choice for families as they let you create and link six accounts per household. This allows everyone to have their own service with show notifications and their own personalized DVR. You can watch YouTube TV on most devices including mobile devices, but Fire TV devices are not compatible. Our YouTube TV review is one way to learn more. PlayStation Vue is a streaming service from Sony that’ll let you watch Los Angeles Lakers online. TBS, TNT, ESPN, ESPN2, and ESPN3 (through WatchESPN for ABC simulcasts) are all channels you can watch nationally broadcast Lakers games on. These come in the starting package alongside around 50 other channels for $45 per month. PlayStation Vue might be the streaming service with the highest starting price, but they offer plenty of good channels including most of what you need to watch the Lakers live stream throughout the entire season. PS Vue is a good choice for families because you’ll be able to stream on five devices simultaneously. This is the most amount of devices that can stream at once in any starting package. You’ll have a DVR, too. It’s also one of the only services that allows you access to your own personal DVR – you can make DVR profiles for the whole family! PlayStation Vue is available on mobile devices, PS3 and PS4 gaming consoles, Apple TV, Fire TV, Roku, and other devices. PlayStation Vue offers multiple packages, so if you want more channels than you find in the basic package, there are multiple packages with more channels to choose from. Watch using Roku, computers, Fire TV, mobile devices, Apple TV, Chromecast, etc. Learn more in our PlayStation Vue review. fuboTV is a great choice if you’re a well-rounded sports fan. You’ll get NBA TV, TNT, and access to FOX and NBC regional sports channels, along with about 70 other channels. Most of the channels you receive are sports oriented. While you won’t have ESPN, you will have most of the other channels you need to watch the season live. fuboTV (review) also offers an on-demand library and your own personal DVR. The first month fuboTV is just $40, but after that the normal price is $45 per month. fuboTV offers so much more than just basketball. You’ll be able to find sports on all levels from local to international sports. If you find you don’t have enough sports channels, you can add more to your package for a small fee. Your account also comes with access to an on-demand library. Some TV Everywhere apps are also available. You can record shows and games to your cloud-based DVR, too. If you want to watch any more NBA games this year, you’re in luck. We put together a guide to watching the NBA without cable. Also, we have a cable cutters guide to watching other sports online as well.